A Loire White From The Banks Of The Cher. Plus a lovely Chablis. Loire White From The Banks Of The Cher. Plus A Lovely Chablis. The vineyards for this Guy Allion Sauvignon Blanc are planted on slopes overlooking the Cher River (a Loire tributary), close to the gorgeous chateau of Chenonceauand not too far from historic Amboise (once home of the French royal court) where Leonardo Da Vinci spent the closing years of his life. No problem with planning permission in 16th century. Just demolish most of the existing structure and build your own. 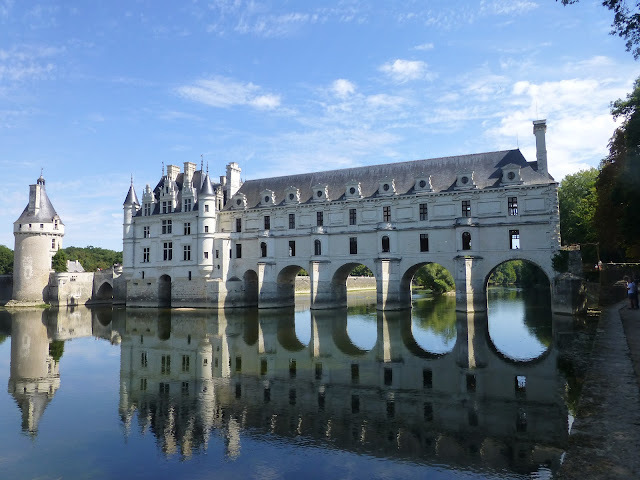 That was how Thomas Bohier and his wife got to build the fantastic Château of Chenonceau that now straddles the River Cher in the Loire. 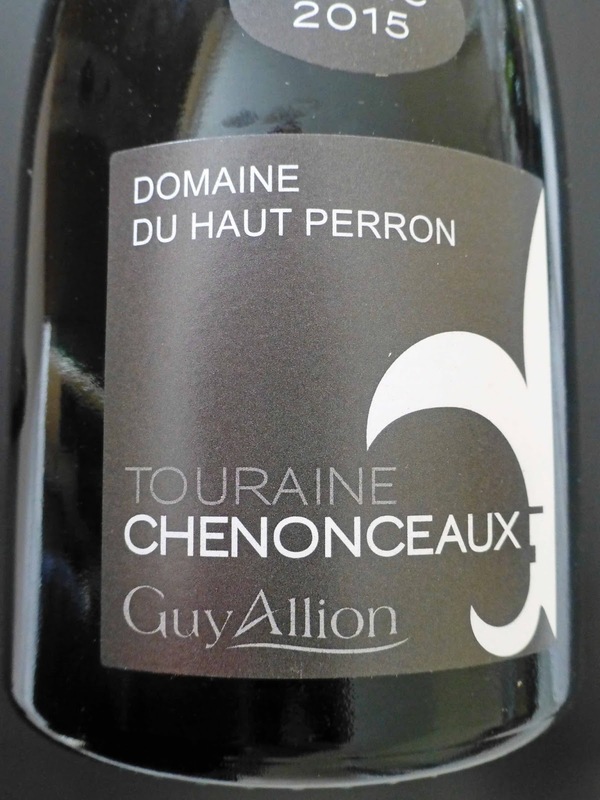 It is one of the loveliest of the Loire chateaus and also one of the most popular. And there were more fascinating ladies right up to the 20th century when Simone Menier was in charge when two galleries of the chateau were transformed, at her family’s expenses, into a hospital for the wounded of the Great War. During World War 11, Chenonceau was on the line of demarcation and then Simone carried out numerous actions for the resistance. Simone, who died in 1972, was a member of the Menier family, the chocolatiers, who bought the chateau in 1913 and still own it today. 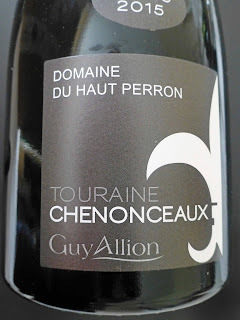 Last year in Cork, I met Nicolas Donne, a representative of Guy Allion, and he was delighted with this wine: “It can be made only in the valley of the Cher, a new appellation since 2011. Aromatic and elegant, it comes in its own unique bottle (made in Italy) and can age for ten years”. Colour of this well balanced wine is a very light straw. Aromas, of moderate intensity, feature white fruits. It is a crisp wine with delicate fruit flavours (apple, pear, melon), citrus notes too, a noticeable tingle of minerality, all retained to the end. Highly Recommended. Unoaked and produced from 10 to 30 year old vines. Take a look and you’ll see the characteristic light yellow with green tints. Take a sniff and you’ll note the white stone fruits aromas typical of this Kimmeridgian soil. Take a sip and you’ll taste the fruits, lime and apple, on the generous, almost creamy, palate, the local minerality also showing through. 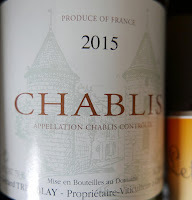 Perfectly balanced, more or less, this well made Chablis finishes well and is Highly Recommended. Taste of the Week. 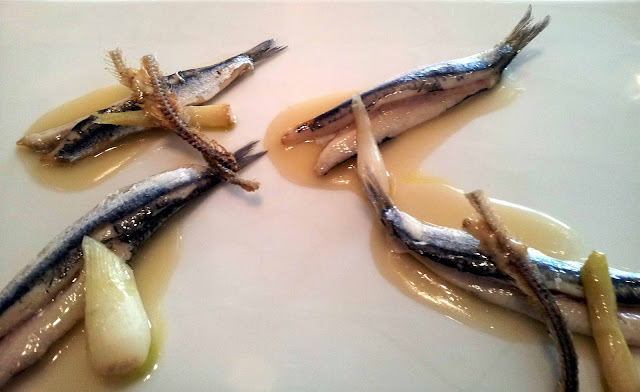 Cantabrian Anchovies from the Real Olive Co. The Deli's on the right! Anchovies from the Real Olive Co. 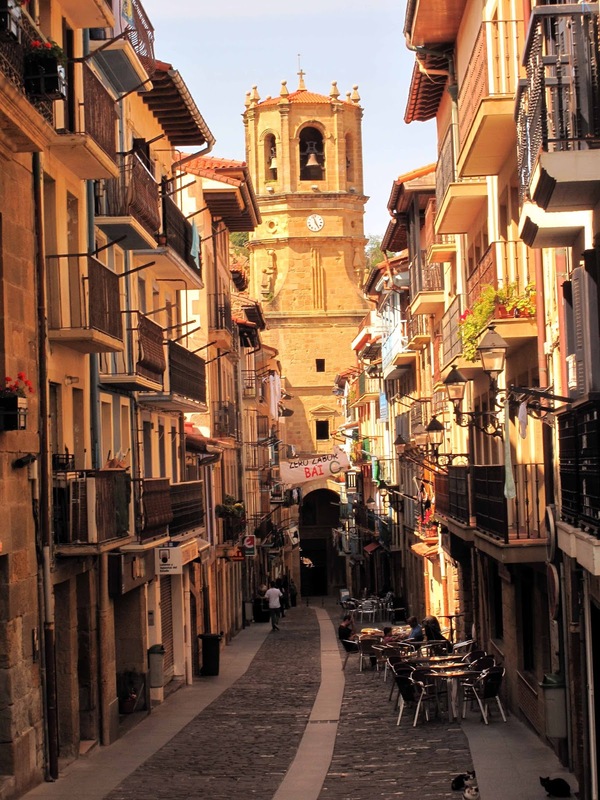 If ever you are lucky enough to be in Getaria, on the Basque coast between San Sebastian and Bilbao, be sure and call to the Salanort deli and get your hands on the local anchovies. I thought that was my only way of getting these beauties but I found out the other day, they are much closer to home and are my Taste of the Week. All you have to do is to call to the Real Olive Stall in the English Market and get yourself a few tins of the Cantabrian anchovies caught off Getaria and other nearby towns, in particular the can marked Cantara. The little fish are caught and the treated in a traditional way and are of the very finest quality. What is so different about these anchovies? Well for a start, they are cold water as distinct from the anchovies of the warmer Med. But, maybe because of that, they have a fantastic flavour, pleasant and mild (not as salty as those from the Med) and texture is almost creamy. By the way, they have some delicious sardines at the Real Olive as well - I like the ones in the spicy tomato sauce but there is quite a choice and I'm told that those in Extra Virgin Olive Oil are amazing! This is the tin you want! French Wine Fest At SuperValu. The French have taken over the wine aisle of your local SuperValu and they’ll be entrenched until the last day of the month. So you'd best get in there quickly and take advantage of the current generosity. Some big cuts in regular prices here and other tempting offers; watch out for case deals and also get another ten euro off if you buy six bottles. Colour is ruby red and ripe dark fruits abound in the inviting mix of aromas. 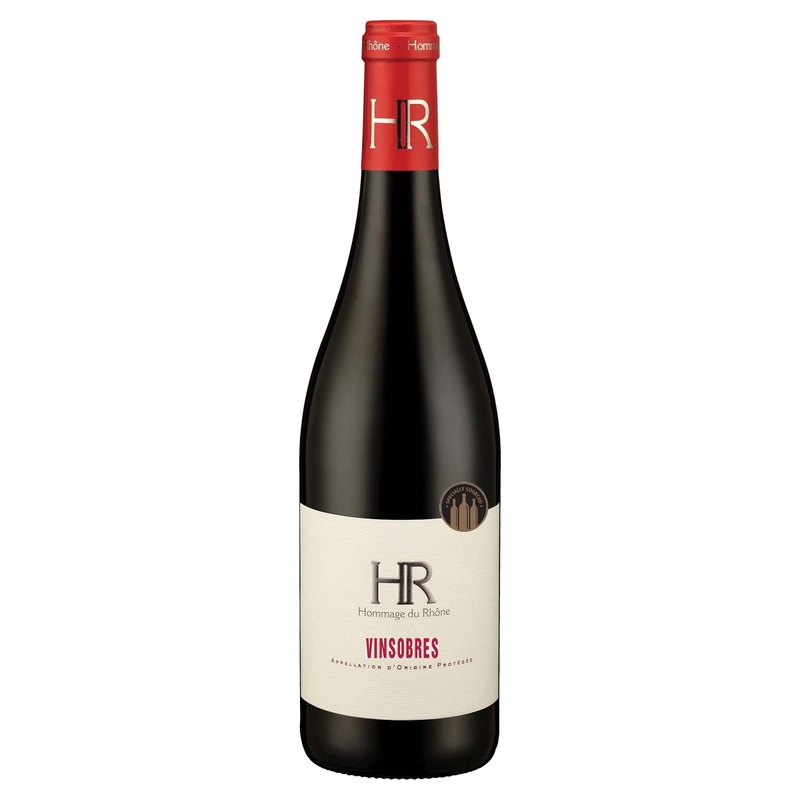 There is a great balance between the ripe fruit and spices, plus a hint of liquorice, impressive texture, full bodied and rounded. A good bottle to have on your table at this time of year, great with duck and roast meat dishes, and also the goat now being sold by Eoin O’Mahony in the English Market. It is SuperValu’s Wine of the Month and Very Highly Recommended. Note that massive discount! 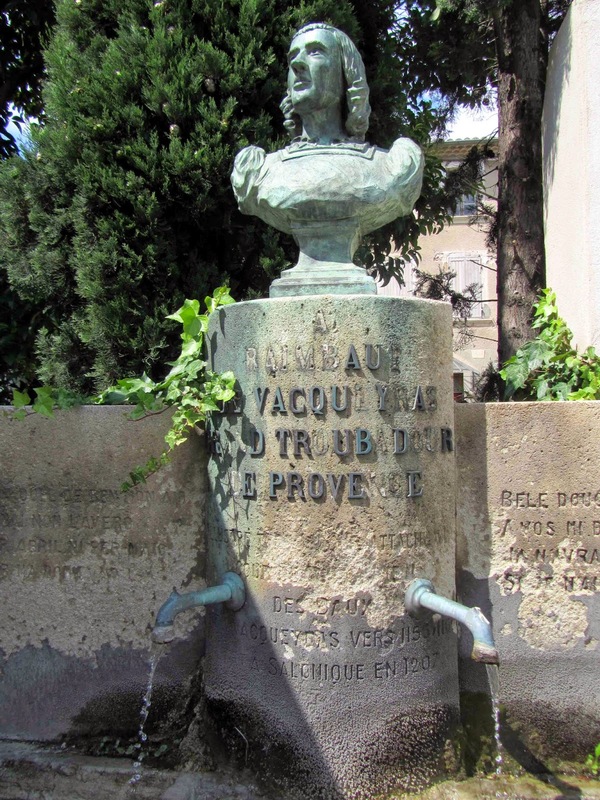 Vacqueyras is one of the nine villages in the Southern Rhone that is allowed its own name as the AOC name. 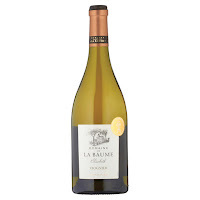 The others are Cairanne (the most recent, 2016), Rasteau, Vinsobres, Gigondas, Beaumes de Venise, Lirac, Tavel and Chateauneuf-du-Pape and all nine are regarded as crus. The village itself is small and tree lined. Indeed, when I called there a few years back, the summer canopy of leaves had the centre in deep shade in the early afternoon. Looked a bit unreal. 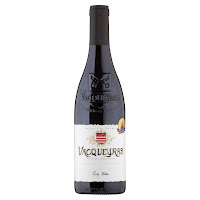 Vinsobres may not be as well known as its fellow Rhone wine Vacqueyras but it is well worth checking out. Grapes allowed in the Vinsobres are Grenache (50% minimum), Syrah (25%) and/or Mourvedre, other varieties allowed 25% max. Serve, they suggest, at 16 to 17 degrees, with Provencal dishes of lamb or game. Goat perhaps?! Colour is mid-purple and the legs are indeed slow to clear (as you'd expect with the high ABV). Aromas are rather intense, plum and cherry prominent. Spice and fruit lead on the palate, an intense tango; tannins there too but they are gentle. Bring on the red meat, that game, a stew perhaps, then the cheese. With this in our cups, we are well prepared. Highly Recommended. This mid to deep purple wine features strong red to darker fruits in the aromas, floral hints too. 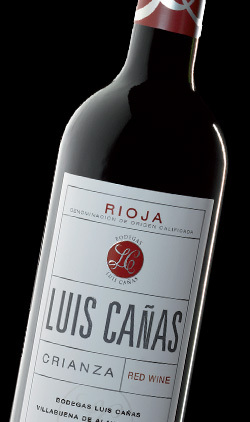 There is a spicy introduction with strong fruit, the tannins close to velvety. Quite an impressive assemblage of Syrah, Carignan and Grenache. Recommended. Pairing dishes suggested are Mountain ham, Pata Negra, Rack of Lamb (with spices), or Pork chops (with herbs of Provence, stuffed tomatoes or mushrooms and cream). 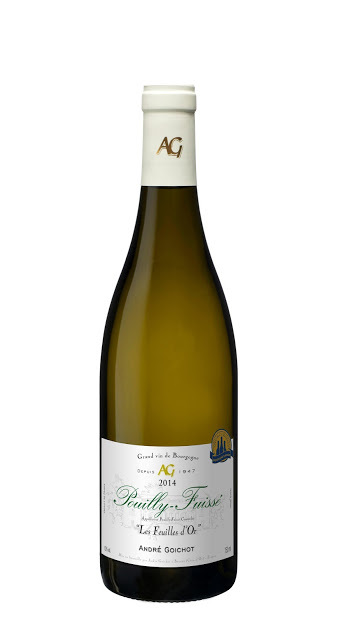 This is a terrific example of French Chardonnay from the grape’s birth place (there is a village called Chardonnay a short drive away). After a few years of tasting, I am coming to the conclusion that most AG wines are good and that quite a few are very good indeed. This has a very light strawy colour. A nose of stone fruits, floral notes too. Palate features flavours of those fruits (peach, nectarine, apricot) plus apple and citrus too, a crisp acidity, and some minerality also. Highly Recommended. Well priced too by the way. 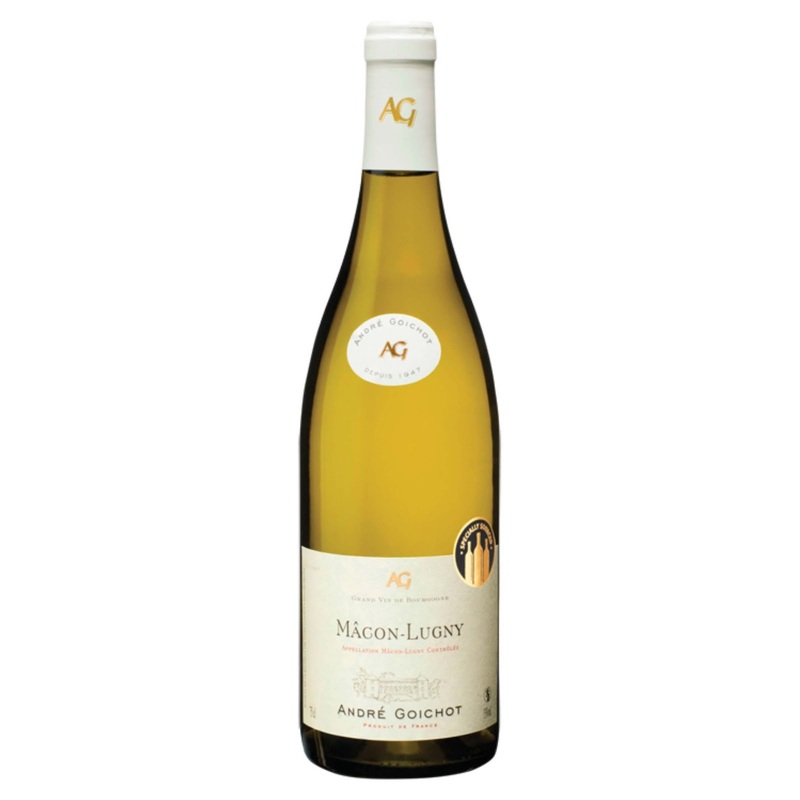 Colour is a medium gold and there are aromas of citrus and white fruits among quite a medley. In the mouth, it is smooth, close to creamy, richly fruited and soft with good acidity too plus a lingering finish. An elegant wine indeed, one of my favourites from the sale, and Very Highly Recommended. 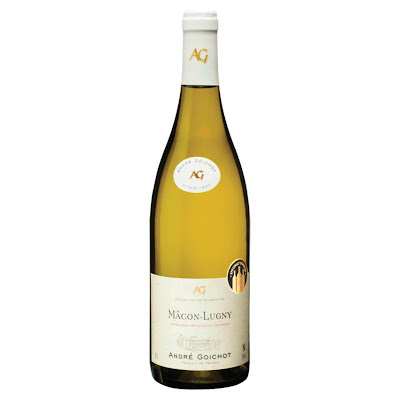 This friendly, fresh and fruity white wine has a light, and bright, straw colour. Inviting white fruit aromas, floral notes also. The palate delivers a delicious mixture of citrus, peach and apricot flavours, a little tingle too, even a hint of sweetness, yet the fresh finish that follows is lip-smackingly dry. Highly Recommended. Sufficiently full-bodied to pair with Asian cuisine. Intense colour here; the fruity aromas are also quite intense. Medium to full bodied, with soft tannins, it is fresh and elegant, well balanced and pleasingly complex with long finalé. Highly Recommended. This is not the Bordeaux of the big chateaux. But the same grapes are used, mainly Merlot in this case. Castillon, one of four Cotes de Bordeaux areas, is squeezed between the Dordogne River to the south, St Emilion (no less) to the immediate west and the Dordogne department to the east. This little known little appellation (202 hectares) on the eastern edge of the Loire Valley northeast of Sancerre (4181 ha) produces almost equal amounts of light-bodied red and white wines. With extensions of Sancerre limestone geological formations into the area, you can expect good Sauvignon Blanc and this doesn't disappoint. Highly Recommended. Fancy a little sparkler? 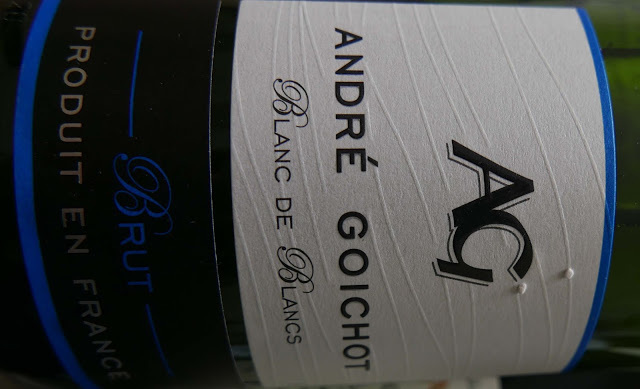 Try Andre Guichot Vin Mousseux Blanc de Blancs Brut €12.00 (17.99). Price in brackets indicates the normal price per bottle. Music publishing certainly was the business to be in, Elvis must have thought to himself one evening when Julian invited him to dinner at his swanky home to meet some people in the business. It was all very friendly, and Julian’s wife was a nice lady, but when dinner was served the star of the party nearly gagged when he saw some pink, rare lamb on his plate. ‘But it’s still bleeding,’ said Elvis in horror. Mrs Aberbach..quickly took the plate away. from Being Elvis by Ray Connolly (2016). Recommended. I can never quite understand the rush of press critics to new restaurants. Some of them are hardly open a wet week and are winning awards. No doubt quite a few are well founded and will last the pace. Like twenty years. Thirty years. Maybe like forty years that the renowned reliable Jacques is now approaching. We called there last week and, well, it is as good as ever, maybe even better. The food is top class as is the service. Jacques were one of the first to recognise and support local producers and you know quite a few of them, including craft drink beer brewers and gin distillers, and so on. Have to admit we were on the wine though, a delicious pair at that, a cracking Albarino and a gorgeous Muscadet (biodynamique). The Barry sisters may be approaching that big anniversary but their menu is innovative, not the least bit old stuff. 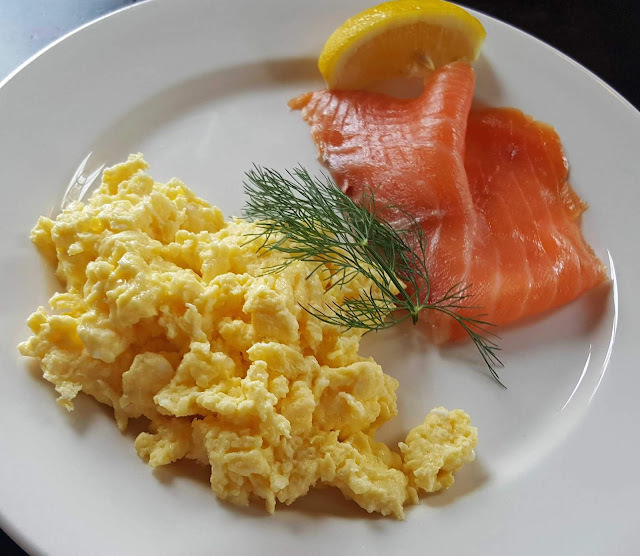 Sure you can have your steaks and black-puddings and so on but it is the way they vary the dishes, the differing accompaniments, that keep the customers coming back time after time. 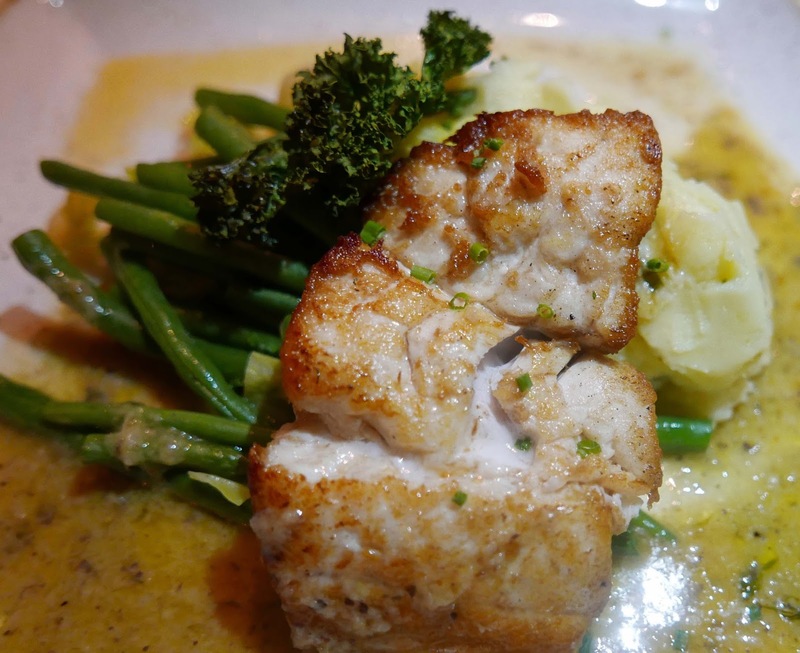 For instance, in July, your hake will come pan fried, with lemon butter, crispy capers, parsley, Ballycotton queens and greens. The other night, a cold one, we enjoyed Fresh Hake, Seaweed, Fennel, Lemon Butter, Crispy Capers, Buttered Cabbage and Beans, Champ (23.90). A superb dish. Variety is the spice of life. 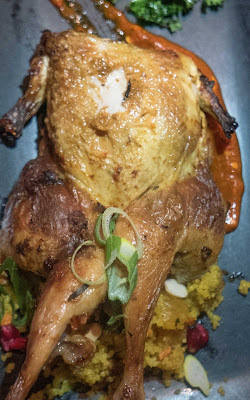 That was CL’s main dish and speaking of spice, she had Smoked Morrocan Quail, Spiced Couscous, Apricot, Harissa (11.90) as a starter. Another brilliant combination, bang on up to date with the evolving local cuisine. Don't think you'd have got that here in the early 80s! 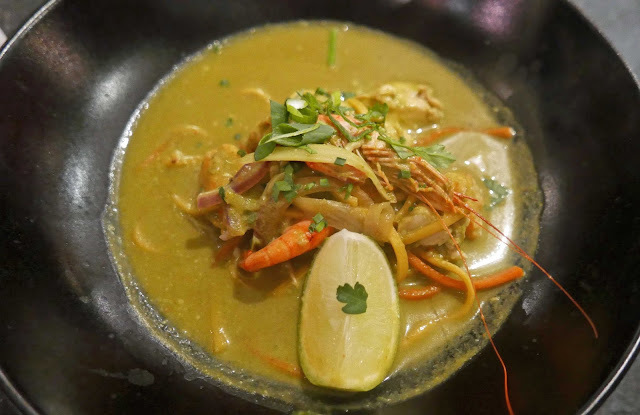 And that exciting mix that has come to our plates over the past twenty years or so was very much in evidence in my starter: Asian Miso Seafood Bisque, noodles, vegetables (9.50). An accomplished and warming dish with hints of Asia and the Med, expertly cooked and presented, perfect for the cold. 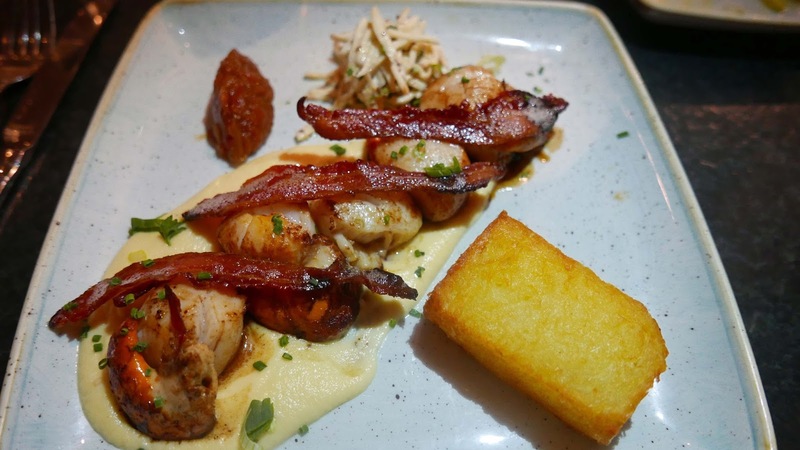 And that high standard was maintained with my main dish: Fresh West Cork Scallops, Winter Remoulade, Celeriac Puree, Crispy Pancetta, Potato Rosti and a Tomato Relish 26.90. Scallops and Pancetta are a terrific duo but all the other elements played a role too. I took my time with that one and absolutely enjoyed it. Still room for dessert and this time we broke out and had one each, sharing of course! The Oranges, Mascarpone stuffed Medjool Dates, Almonds, Pomegranate (7.50) were excellent but the winner, on points, was their Tiramisu - The Classic (7.50). So best of luck to all the new restaurants and cafes that have opened up in the last few months - there are some excellent ones around town - but every now and then it doesn't do any harm to blow the trumpet for the old reliables who have worked their way through recessions and booms and who still come up trumps. Wasn't expecting too much from this pack but, with Skellig Chocolates involved, I should have known better. It is a delightful delicious combination and our current Taste of the Week. By the way, the chocolate is the main ingredient here at 83%, smothering the marshmallow at 17%. You bite in through the chocolate cover on the irregular sized treats and find the soft tasty marshmallow in the middle. It is quality all the way from the gorgeous chocolate to the soft yielding marshmallow, a terrific flavoursome packet. 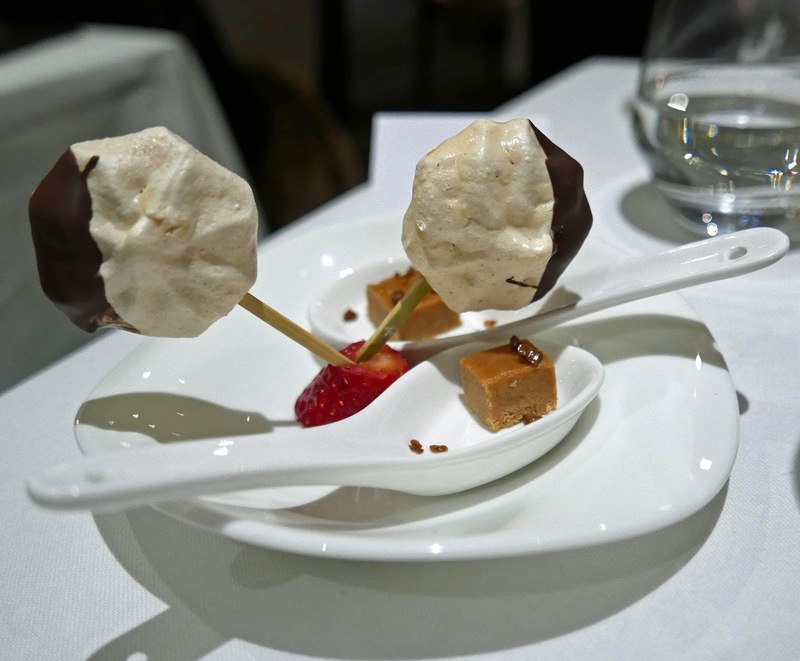 They go well together as I found out when I visited last year and enjoyed a hot chocolate in their cafe, a café with a splendid view out to the magic islands, the hot chocolate topped with a generous helping of marshmallow! 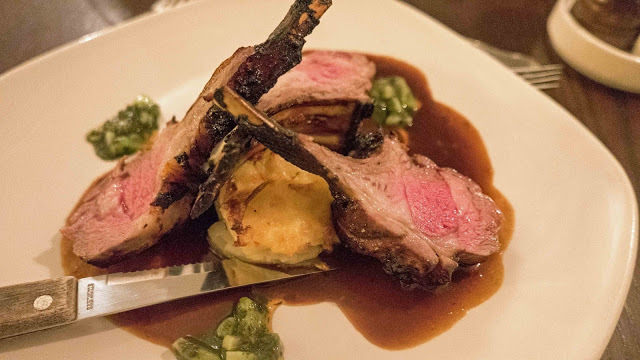 The Barnabrow Gourmet Evening is becoming a must-have ticket. Head Chef Stuart Bowes, with the aid of sous chef Adrian Kaszynski and team, put on a top class multi-course meal last Saturday evening, highlight following highlight, and each course well paired by Donie O’Brien of Eno Wines. The big restaurant, with its church style windows, was packed for the occasion and, after a reception with Canapés and organic Cava, we were led to our seats and soon began with an amazing dish: Ballyhoura Wild Mushrooms, Ardsallagh Goats Cheese Polenta, Crispy Hens Egg, Pangrattato. 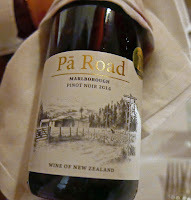 Just a big “wow” all round and even better when sipping the Pa Road Pinot Noir from Marlborough. The owners are friends of Donie’s, friends worth keeping as this wine is an excellent rich, ripe and elegant. Fresh and enlivening and with woodland aromas, it certainly did the business with the mushrooms. A good standard had been set and would be maintained all through. Indeed, the next course was one of my favourites. 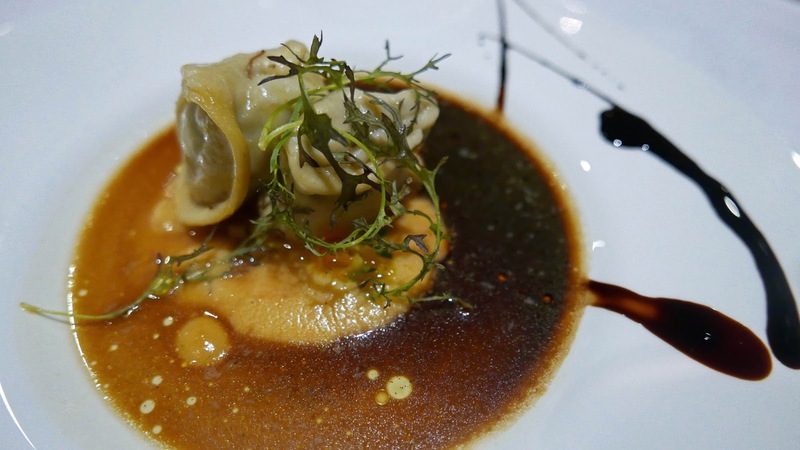 The Lobster Agnolotti, White Cabbage, Cognac, was innovative and delightful, the soft texture of the pasta, the crunch of the cabbage, the flavour of the lobsters and the pairing with the Chatelain Sancerre all added up to a sensational experience. While Donie might rave about New Zealand Pinot Noir, when it comes to Sauvignon Blanc he cheers for the Loire. “This is Sauvignon Blanc at its best. 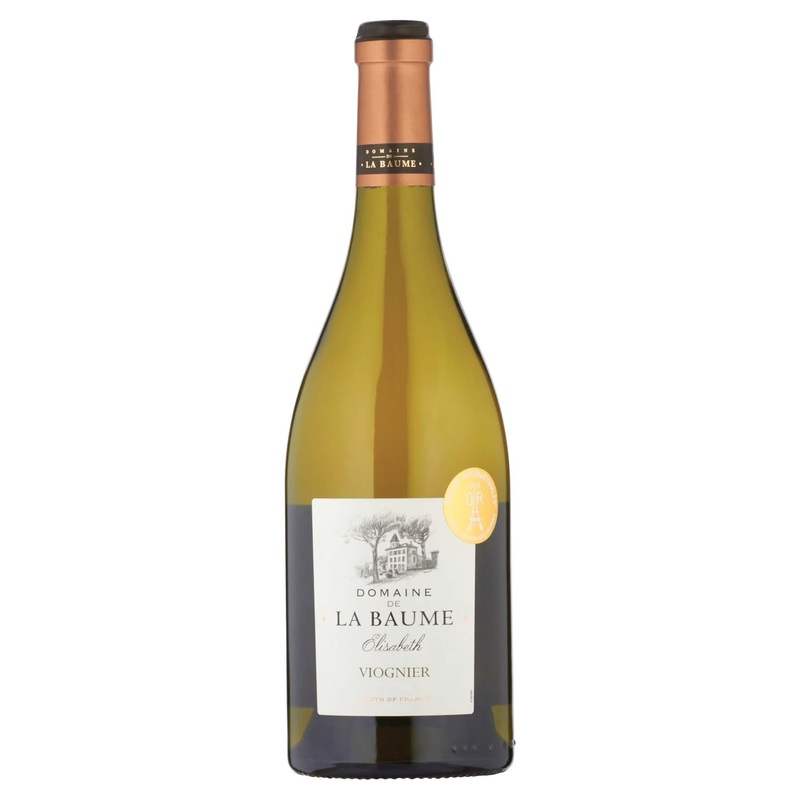 Sauvignon is now produced all over the world but they never match the Loire.” The Chatelain, with is summer meadow aromas, its citrus fruit and mineral character, is a beauty. Time now for the big red and the Cuvée Raphael, Chateau Parenchere, Bordeaux 2013, was just the job with Roast Squab Pigeon, Smoked Potato, Celeriac Gratin, White Dandelion. This fifty fifty Merlot and Cabernet Sauvignon is “one of the classics” said Donie. Very concentrated, smooth, full-bodied, mellow and rich with autumnal red fruits and excellent with the game dish and its accompaniments. Another well thought out plate and yet another well-executed. 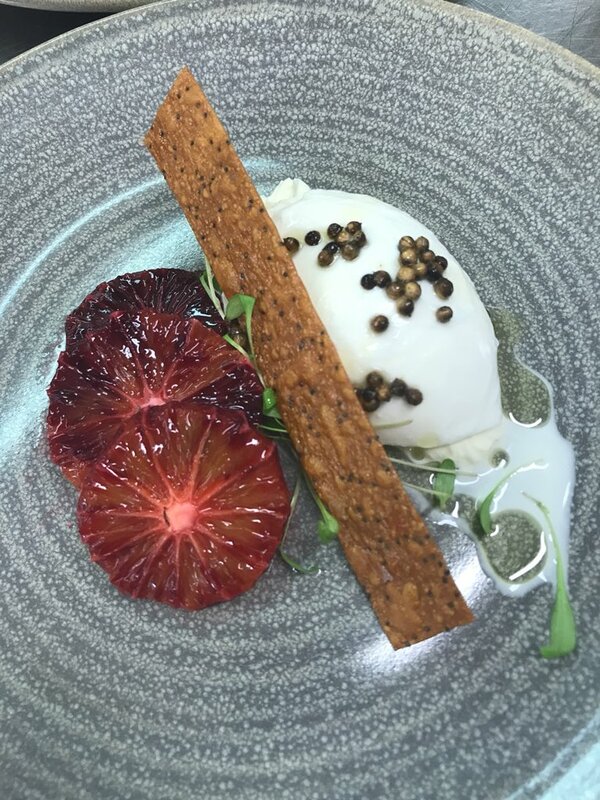 And there was yet another beauty on the way, this the Toonsbridge Burrata, Blood orange, Corinader Seed, Lavosh. 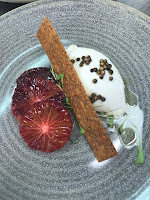 The occasion gives Stuart the opportunity to get some “unusual ingredients” and the blood oranges were one example. 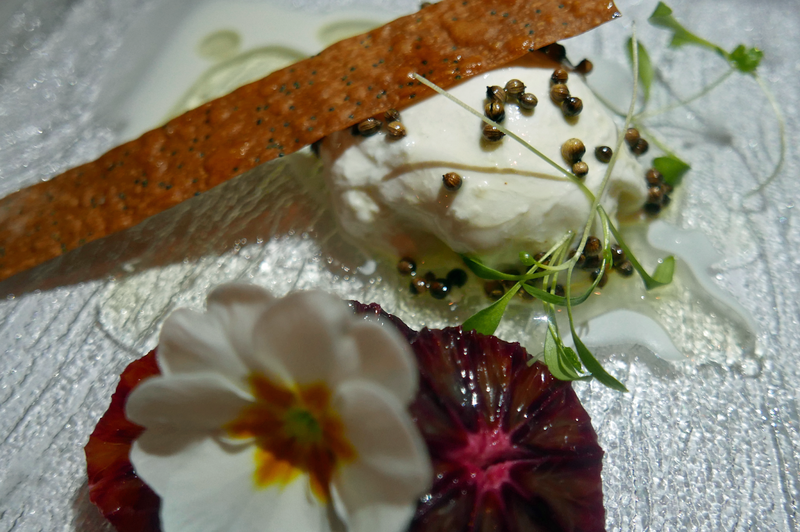 He didn't have to go to Sicily for the Burrata. That was made in Toonsbridge just 24 hours earlier. The superb Lavosh was made right here in Barnabrow. What a fantastic combination, another of my favourite courses (truth to tell, I liked them all). Must say chocolate pairs well with me! 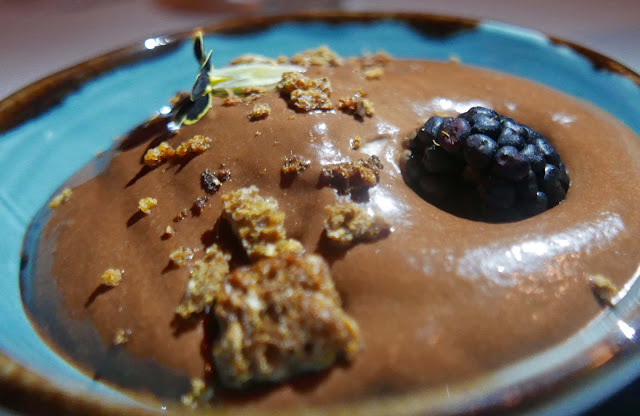 And so I was delighted to see Hot Valrhona Chocolate Mousse, Blackberry, Vanilla Ice-cream, Pain d’Epices appear in front of me. The ice-cream was “hidden” under the warm chocolate and the contrast in flavour and texture and temperature was a pleasant ambush! Delighted with dessert. At this stage too we were enjoying sipping our Chateau Caillou Grand Cru Classé Sauternes 2007. Grand Cru Classé means it is one of the very best, very sweet on its own but, with rich desserts, it displays amazing richness and power yet has acidity enough. Donie filled us in: “They practice low yield, so the fruit is concentrated; it is rich and powerful and the flavour lingers.” Enjoyed that too. 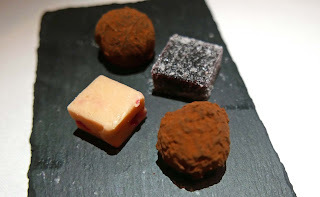 We weren't quite finished yet as the Petit Fours appeared, some chocolate truffles and old fashioned delightful jellies. A lovely end to an evening of gourmet pleasure. I was a guest at Geraldine Kidd’s Barnabrow which is a superb location for weddings (the majestic, medieval-style banqueting hall, with its gothic windows, sets a grand, yet relaxed tone), for corporate events, for celebrations of all kinds (birthday parties, christenings, naming ceremonies, and Christmas parties), rooms and holiday cottages too and, don't forget, for Sunday lunch. Check it all out here. Bewley’s Coffee, Barry’s Tea, and Petit Fours. Head Chef: Stuart Bowes. Sous Chef: Adrian Kaszynski. Wines: Donie O’Brien of Eno Wines. Hackney's Five Points Brewing Comes To Cork. From one marsh to another. 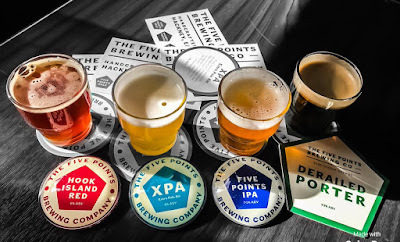 Hackney's Five Points Brewing Comes To Cork. From one marsh to another. From one marsh to another, Five Points beers should be a good fit in Cork. The independent brewery is based in the heart of Hackney (East London), situated in a Victorian Railway arch and takes its name from an adjacent five-way junction. The beers, as we found out at a very enjoyable tasting in the Abbot’s Ale House, a craft mecca, last week, are full of flavour and aroma; all are unfiltered and unpasteurised for a better taste. 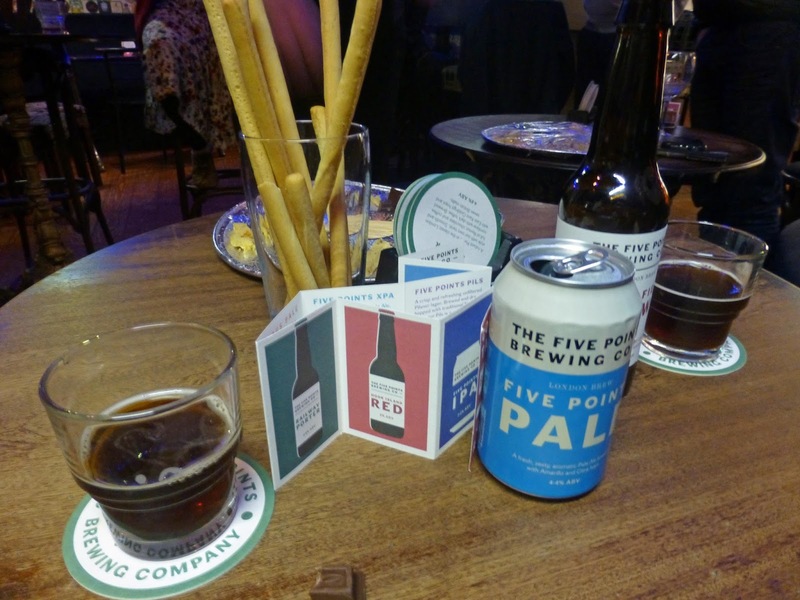 Five Points, founded five years back, launched in Ireland on the first of the month and Accredited Beer Sommelier Francesca Slattery, Ireland Account Manager, was in Abbot’s to guide us through a very interesting tasting indeed. We started with the Pale. “We spent six months developing this, we had to get it right. 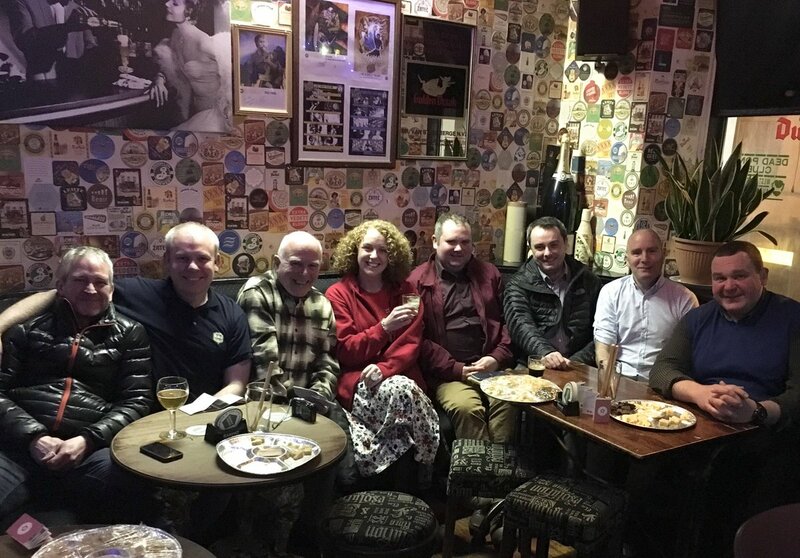 It should be our backbone.” It is right and, with 60% of the sales (total of 2.1 million pints! ), it is indeed the backbone of Five Points. It is a fresh, modern and aromatic Pale Ale (4.4%); easy drinking and perfect for any occasion. Hops are Amarillo and Citra and it comes in cask, keg, bottle and can. The next beer, XPA, was actually brewed for an occasion, a local music festival. Citra and the Australian Galaxy are the hops. Francesca (Chess for short!) said it was bitter upfront but with a sweeter finish, the Golden Naked Oats help give it a nice mouthfeel. At 4% ABV, it is extra drinkable too and proved so popular at the festival that it was kept on the list. Can and keg. Customers may like the rye but brewers don’t as it can clog up the system! Still Five Points loaded this with 20% rye. Six malts and three hops all added to the final result. Cask, keg and bottle. 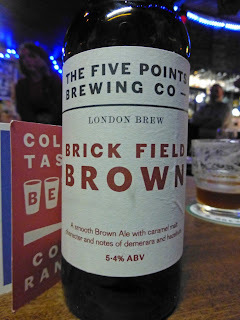 A well balanced, full bodied beer brewed with all-British barley and Golden Naked Oats, coupled with Willamette hops from the USA, is how they describe Brick Field Brown. With earthy aromas and flavours of Demerara and hazelnuts, “it’s a hug in a glass”. Hops is Willamette, it is 5.4% and sold in cask and keg. “India Pale Ale,” said Chess, “is an English thing.” But it took the US to revive it and that spurred the UK to renew their interest. 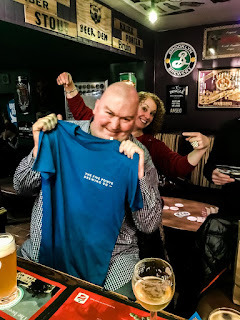 White Shield and Bengal Lancer were mentioned as being iconic IPAs but we were happy to settle for the delicious Five Points version at Abbot’s. It is quite perfect so much so that you hardly notice its 7.1 ABV. Available in keg, bottle and can. Then we had a final treat, the very last of the Derailed Porter at 5.6%. Chocolate and caramel with sufficient bitterness, this old style porter is delicious but Chess teased by telling us that it was even better in cask! And so the tutored tasting came to a close but the evening was only starting as we moved downstairs for some serious tasting. Say no more! Thanks to Anton (far right) of Abbot's for the pics. The seating was as tribal as that in a high school cafeteria. The Iraqi support staffers kept to themselves. They loaded their lunch trays with enough calories for three meals. Between mouthfuls, they mocked their American bosses with impunity. So few Americans in the place spoke Arabic fluently that those that did could fit around one table, with room to spare. Good food. Good Wine. And Two Amigos. The Maryborough Hotel held their first ever wine dinner this week and it was a resounding sold-out success. 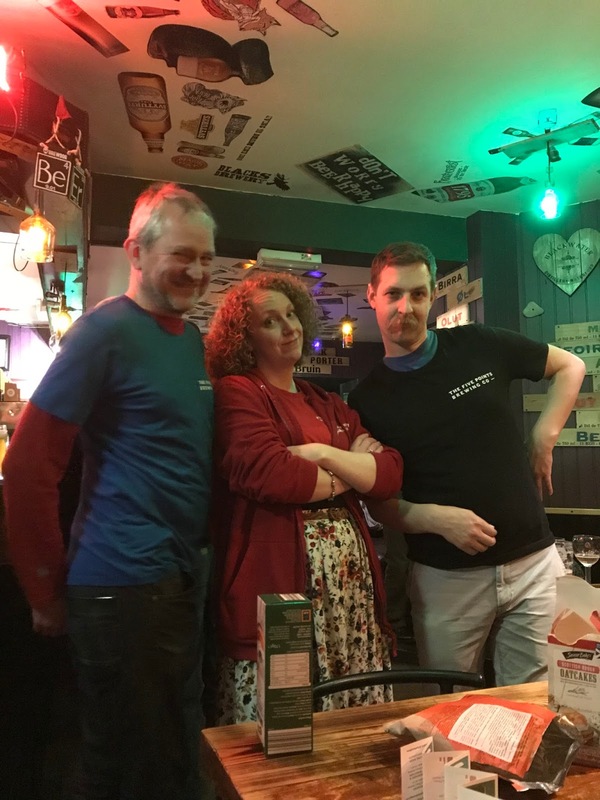 Stanley A. Moss, representing the Riojan winery Luis Cañas, set the tone early on, promising to “be fun, not geeky” and fellow presenter John Wilson, the Irish Times wine writer, had no problem in making it a double act. The duo went to successfully impart plenty of information on the various wines without tying us up in technical knots. Towards the end, John described the experience as “one of the bargains of the century!”, referring to the brilliant wines and the excellent food, and that was the cue for a round of applause for the Maryborough’s outstanding chef Gemma Murphy, with thanks too of course to Luis Cañas from Rioja Alavesa. We were warmly welcomed at a lovely reception. Cava was on offer, a drink that John Wilson says is getting better and better, “different, distinctive”. The same words could well be attached to the Kalak vodka, produced by Tipperary man Patrick Shelley, “a rare single malt Irish vodka, distilled four times in Skibbereen” and available at the reception in a lovely cocktail. Verdejo is one of my favourites white wine grapes and so I was delighted to see the Val de Vid 2016 paired with Scallops, Mandarin salsa and Yuzu Foam. 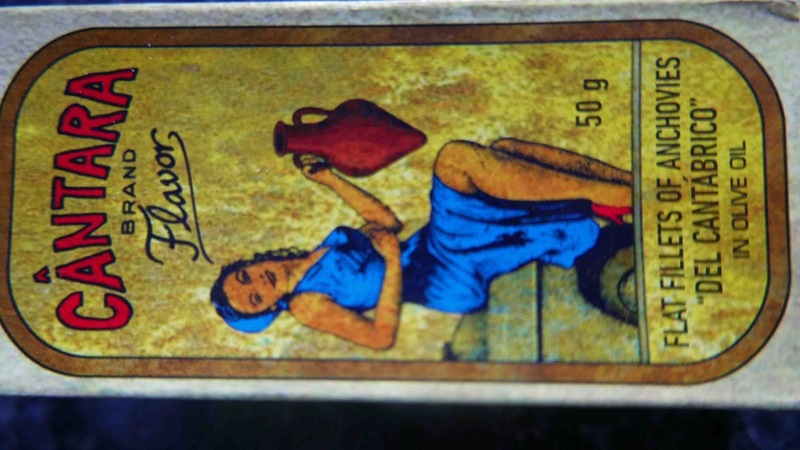 Stanley said this aromatic and flavourful wine comes from Rueda and the production, from old vineyards, is small. 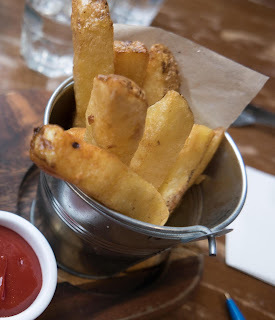 It is difficult to obtain in Ireland and only available in restaurants. John remarked that he thinks of it as the “Spanish Sauvignon blanc, with citrus, green fruits and dry like a New Zealand Sauvignon blanc.” He remarked that there are some cheap Verdejos out there and advised paying “a bit more to get the quality”. Tasty, aromatic and satiny and it got us off to a great start at the table. We were now on to Cod, compressed cucumber, radish, shimeji, wakame, dashi, matcha green tea. More Verdejo? No, the reds were introduced, a lightly oaked elegant Crianza 2014, fruity on the nose and palate with a lively acidity playing a key role. John Wilson said that Rioja wines come ready to drink because of the ageing and classification system. The pairing, by the way, was quite a success. 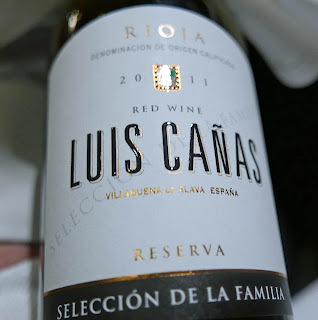 There was a double step up in class with the Gran Reserva being by-passed as we were treated to the Cañas Reserva La Familia 2011, a good year here in Rioja. 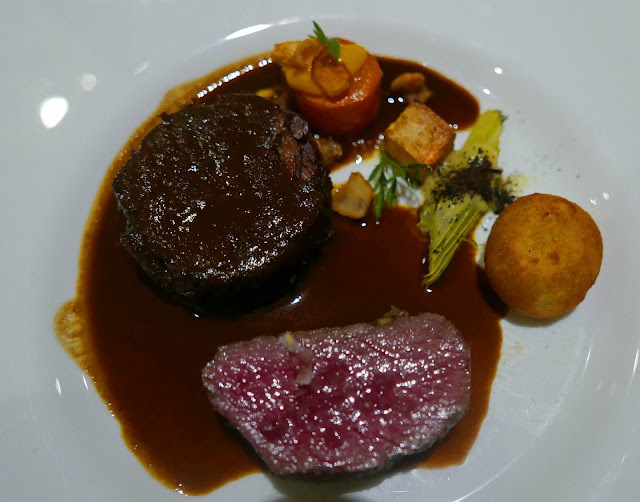 With its pleasant and complex nose, round palate with great structure and juicy tannins, it was a super match with the Assiette of Ballinwillin Venison, perhaps the highlight of the meal. This Familia is 85% Tempranillo with only the best of the grapes being selected to “magnify the good side”. 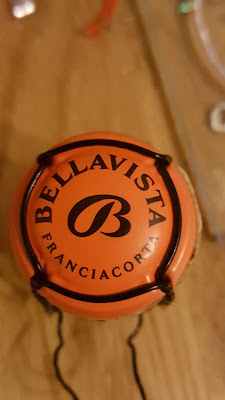 It is a superb wine, intense and complex on the nose, “milkier, creamier on the palate”, powerful with chocolate notes (which came in handy as the dessert was Chocolate Pave with Cherry). 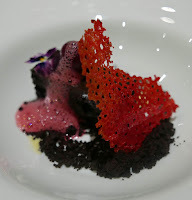 At that stage, some more “sweets” appeared as well, as did a Black Twist Cocktail. Black Twist, invented by Conor Coughlan, is a blend of coffee and whiskey and you may read more about it here. All good things come to an end but I have the strong impression that the Maryborough will soon have another wine dinner. Watch this space! Scallops, mandarin salsa, yuzu foam. Foie Gras, crispy chicken skin, hazelnut, miso caramel. 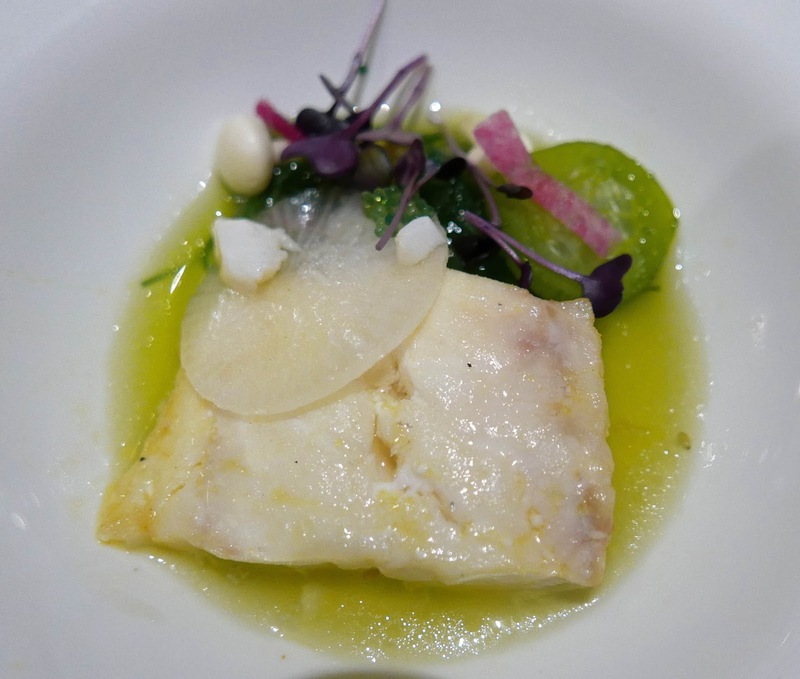 Cod, compressed cucumber, radish, shimeji, wakame, dashi & matcha green tea oil. Assiette of Ballinwillin Venison Beef cheek ravioli, kohlrabi, cured egg yolk, spilt red wine jus. Flavours From Georgia's Past And Present. By Levan Gokadze from Tbilisi, Georgia - Flickr.com, CC BY-SA 2.0, https://commons.wikimedia.org/w/index.php?curid=56889960; Qvevri buried in the winery. John Wurdeman, ex Virginia (US), and Gela Patalashvili are the men behind Pheasant’s Tears, a natural winery and vineyards in the far east of Georgia (where Russia, Armenia and Azerbaijan are among the neighbours). They could have taken the oak route, even the chemical route but, with guidance from the local bishop, they stuck with the local tradition, a vine and wine tradition that goes back hundreds, maybe thousands, of years. Vegetables and herbs grow among the Georgian vines. 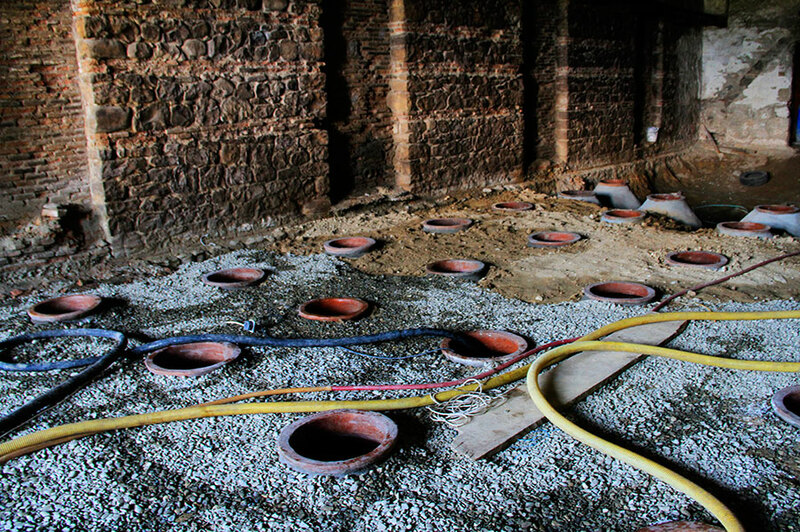 In the wineries, many of them very basic, skin contact is employed extensively, but what makes Georgian winemaking different is their use of the qvevri, huge earthenware vats sunk into the ground and used for fermentation and storage. They are made from the local terracotta clay, survive in the ground for generations and have been awarded a place on the UN Intangible Cultural Heritage List. 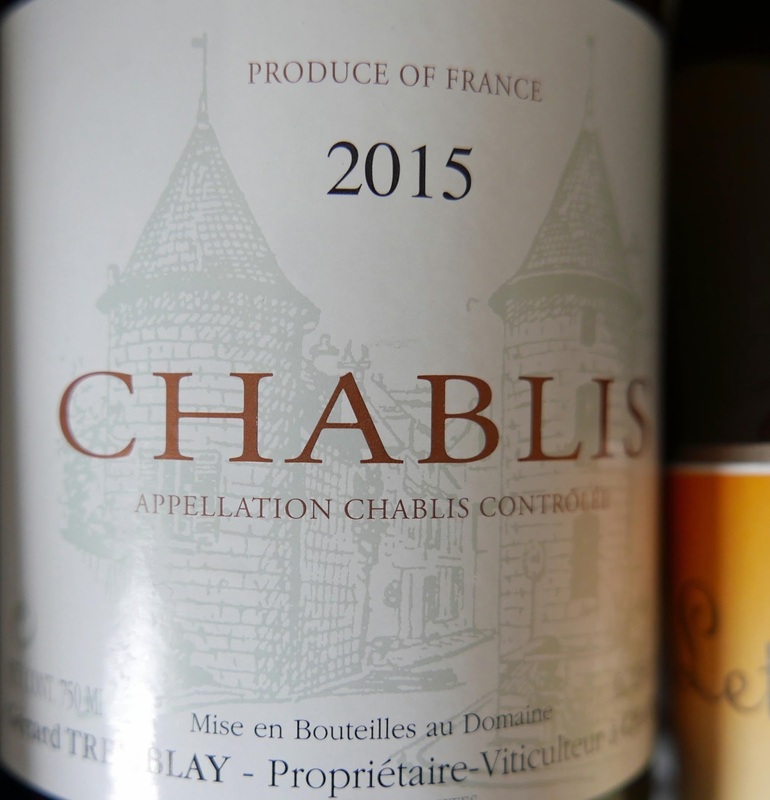 Other winemakers, even in Italy and France, are beginning to use them. They have been stubborn in holding on to their methods in the past. Fingers crossed that they’ll be just as stubborn in the present and future as the get-rich flag is flown in their faces. Info on Georgian wines is not all that easy to come by but I was helped by reading For Love of Wine by Alice Feiring, also the Le Caveau catalogue, and by listening to relevant podcasts on BBC Radio Four Food. A Youtube video on Georgian wine https://www.youtube.com/watch?v=eoyI2bJrTnU, one of a few. Pheasant’s Tears Saperavi Kakheti (Georgia) 2015, 14%, €27.40 Bradley’s Cork, Le Caveau. 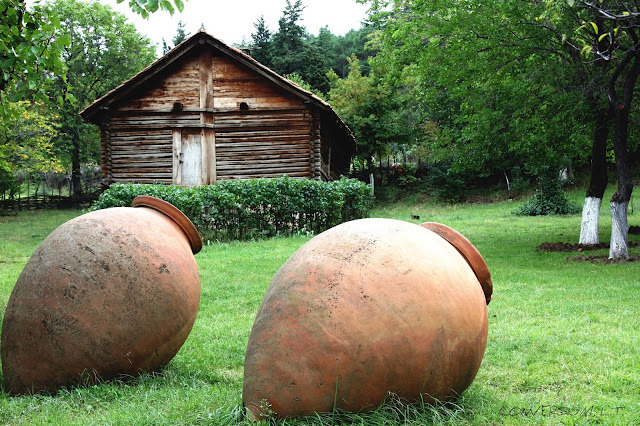 This must-try wine is made in the historical province of Kakheti from Saperavi, the “hero” grape of Georgia. Hero because it survived decades (beginning in 1920) of Soviet centralisation, ironically under the Georgia born Stalin (who liked his wine! ), a policy that aimed to eliminate most of the region’s hundreds of varieties, aiming to leave only a handful of the most productive ones. But the Saperavi survived and eventually thrived again. Indeed, it has been planted in 25 Australian vineyards and the reports are good. By the way, be careful you don't spill this juice on your best white top. Unlike most red grapes, the pulp here is also red and so more liable to stain than normal. The ancient grape has provided wine for many generations. Even during the worst of the Soviet times, householders kept growing it in the gardens, without chemicals, to make wine for the house. And nothing is wasted. The leftovers (the pomace) from the initial wine-making are distilled to make the Georgian Chacha, their fiery equivalent of Italy's Grappa. Colour of our Saperavi is a deep purple. The aromas are of cherry, savoury notes too. On the palate it is fresh, full of vitality, cheerful blackcurrant flavours feature, tannins are pretty firm. While there is some little sweetness on the palate, the long finish is dry. Check your lips! 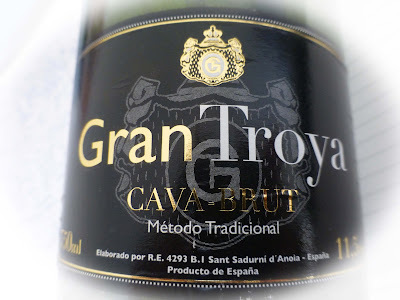 It is a most satisfying wine, eminently drinkable and digestible and Very Highly Recommended. One can see why the Georgians allow three litres per guest at weddings and other excuses (readily found, apparently) for feasting! It is said that Georgians rarely eat; they feast. This is quite magnificent with lamb, either roasted or stewed, Georgian-style, with aubergine. The fruit for this one comes from Mukhrani in Kartli. The Shavkapito grape is a rare Georgian variety, praised for its refreshing tones of violets and forest earth. If you were lucky enough to have been part of the Georgian royal circle in ancient times you would have seen the king reach out for a glass of Shavkapito on a regular basis. Colour is a dark ruby and the legs are surprisingly slow to clear and you’ll note dark fruit among the aromas. 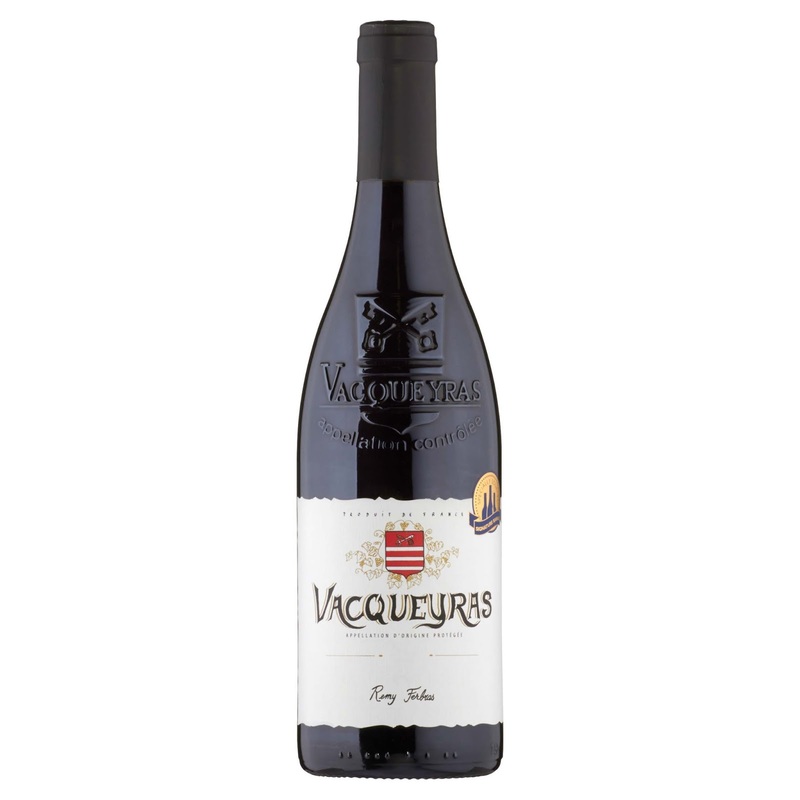 A juicy fruity palate (plum, cherry) also features persistent grainy tannins and there is a velvety spicy finalé. Oak comes to mind but the wine has seen no wood only the inside of the qvevri. A natural with game and with lamb. Highly Recommended, perhaps Very Highly Recommended in a few years time when the tannins have calmed down a bit! Back to the Mother. Umi Falafel.